At the behest of my dear pally Powder, if you have a Turtle toy that needs an ID, post your picture here, and we'll give it a whack! EDIT: Can I be stickied? Just browsing random stuff on ebay and saw this. http://www.ebay.com/itm/250971085580...84.m1438.l2649 Hvae never seen this before? 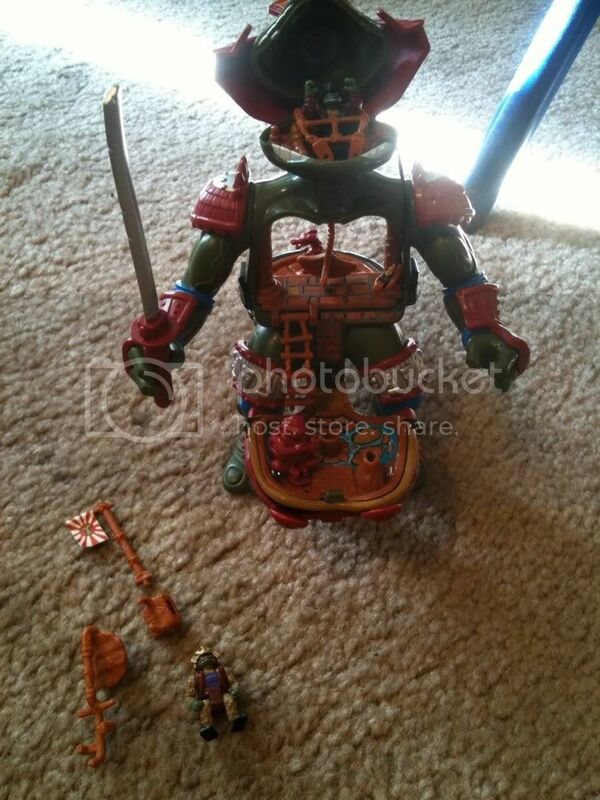 is this a TMNT figure? EDIT: NOOO Toxic Crusaders! That's it! I'm gonna be on this thread a lot here in a few minutes. Just got an assorted lot in today :D.
I made a big post, hit preview, then forgot to post :(. Oh well. Here's the lot as a whole. I bought it for the Muta Force Turtles. I know what a lot of the stuff is but I don't know where the accessories came from. Here's the acc's in question. Purple nun chucks? Where did these weights come from? What is the O-Fish-All name of this guy and is he complete? 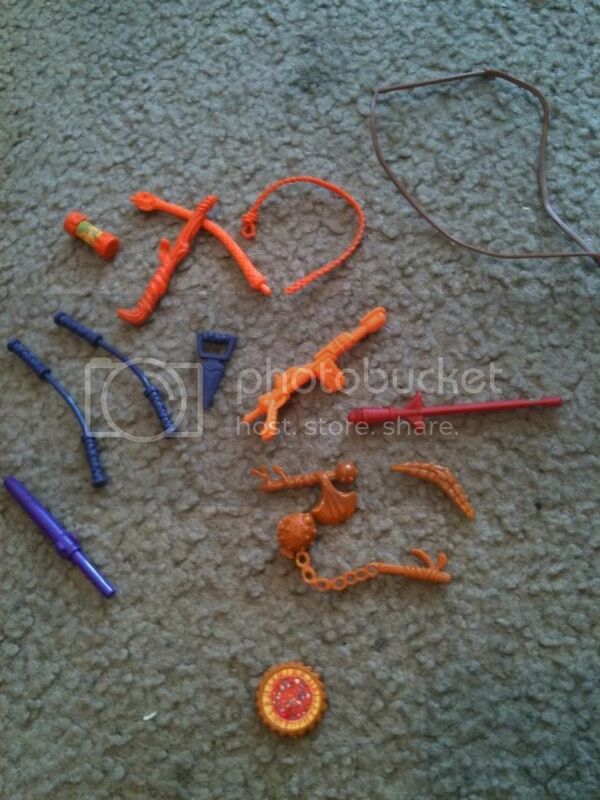 purple nunchucks are for movie 3 samurai mike, the orange cane, belt and ooze can go to movie star splinter and the bright orange gun go to walkabout. Awesome, thanks! So that means Movie III Mike and Movie Star Splinter are complete? 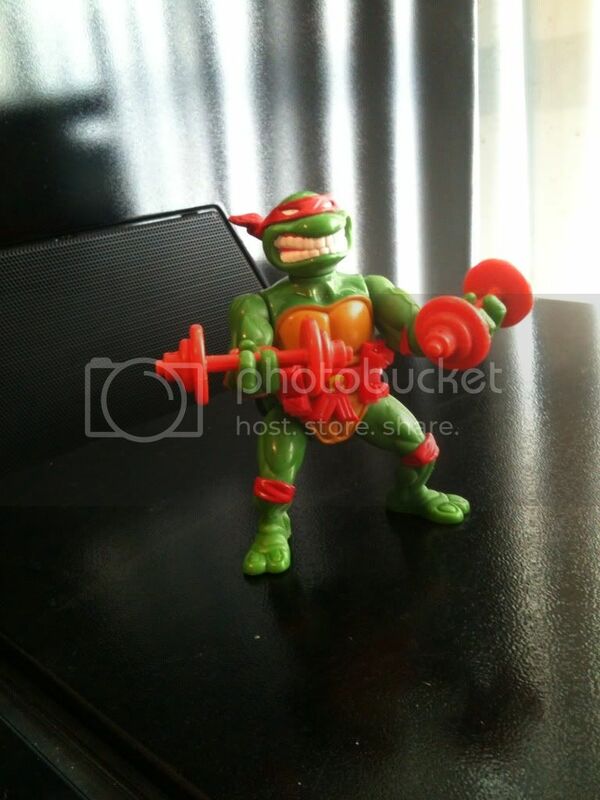 i believe that would be correct dude (cause the little purple triangular weapon that i always forget the name of goes to movie samurai mike as well)- and if the little shell has 2 throwing stars in it i am pretty sure you have a complete storage shell raph as well- nice lot dude! Thanks! I don't have the throwing stars, but it did come with 2 sais, and the Mike had 2 nun chucks, which I were looking for anyway to complete my '88 soft head diorama. For everything pictured I paid $35 shipped. The Muta Force turtles each usually cost more than that alone. i wouldnt say that the muta-force are worth that much each- but the metalhead mike is a great pick up! amazing price- congrats! not in used shape, but the MOC ones on eBay were that much, and I couldn't find any loose/complete to compare with. Scar1321 wants the MM, I just haven't decided what I want for him. He's in good but used shape, not-complete, and I want to trade for other figures, so it may take a little bit for me to decide what I want. 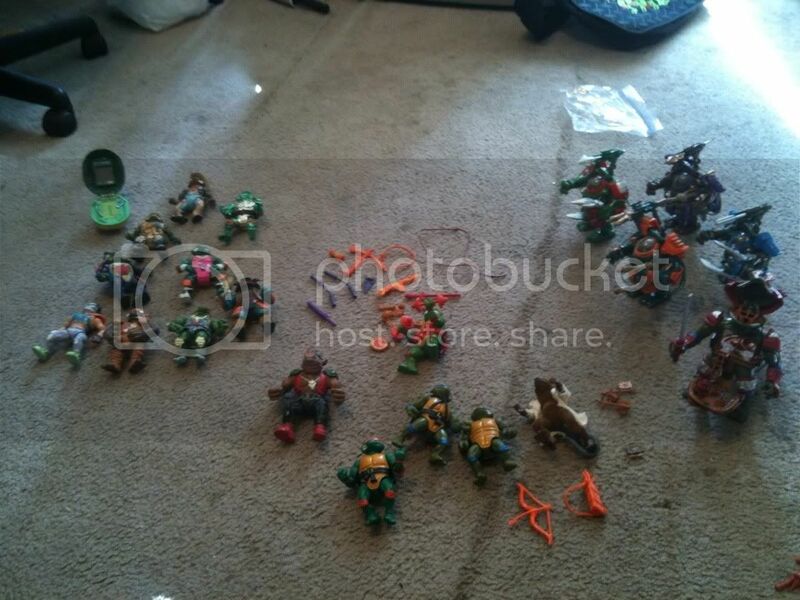 That is the Mini-Mutants Turtle in a Turtle Leonardo play set. I'd have to check about it being complete, but I think it should have three figures with it. Hmm... Maybe. I can't find any info on it at all.